The most obvious thing about Thor: Ragnarok – the newest chapter in Marvel’s ever-burgeoning cinematic universe, and the third standalone movie with the Asgardian lord god of thunder in the lead – is that it’s a ridiculously self-aware film that refuses to take itself too seriously. That’s plain from its very first moments – with a caged Thor (Chris Hemsworth) talking to an imaginary friend in a skeleton – to its very last scene, which involve Jeff Goldblum’s megalomaniac Grandmaster being unwilling to wrap his head around the new status quo. Stuffed between that is a two-hour 10-minute wild, colourful, and funny roller-coaster ride put together by Taika Waititi, the 42-year-old Kiwi director who burst onto the scene with the 2014 horror mockumentary What We Do in the Shadows, and followed it up with the 2016 adventure-comedy Hunt for the Wilderpeople, which delivered a poignant message in an effective and charming fashion. Ragnarok – out November 3 worldwide – may not have the same emotional chops, but it’s such a giddy, winning, and smartly constructed film that it’s hard to not let it just wash over you. It’s the perfect kind of escapist entertainment, one which treats its narrative as a background element than the driving force, and Waititi – off a script penned by Craig Kyle, Christopher Yost, and Eric Pearson – knows exactly what (half) the Avengers need, having become a bit humdrum and repetitive in recent entries, such as 2015’s Age of Ultron, and 2016’s Captain America: Civil War. It takes the same exuberance that powered this year’s Spider-Man: Homecoming, and applies it on a cosmic sale, with tons of magic and punches thrown in. Like Guardians of the Galaxy Vol. 2, only less forced. 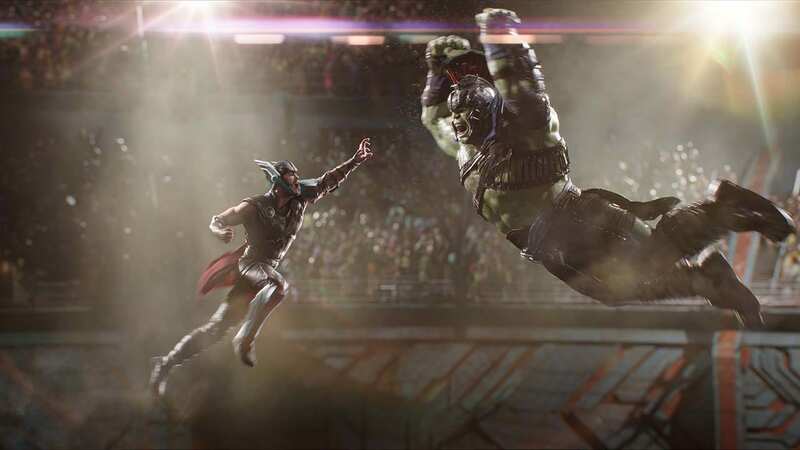 On a plot level, Ragnarok has connections to events from its 2013 predecessor Thor: The Dark World, and 2015’s Age of Ultron, rather than last year’s Civil War, since it takes place in parallel to the latter film. With those films now two and four years old, it can take time to register some things if you don’t plan to refresh yourself before heading in. Here are the basics: Thor has been travelling the Nine Realms to forestall the vision he had in Age of Ultron, while Loki (Tom Hiddleston) is continuing to rule Asgard by impersonating their father Odin (Anthony Hopkins), who’s been exiled to Earth. Such clever insertions and nods are at the heart of the new Thor chapter, and there isn’t an element of the film that Pearson as screenwriter – getting his first shot at a Marvel feature, after having worked on Agent Carter and several one-shot titles – isn’t capable of turning into a comedic moment, with the director masterfully balancing the literal world-ending stakes of the film – the term Ragnarok comes from Norse mythology, as does almost everything about Thor, and it means the demise of the Gods – with the responsibility of creating an enjoyable superhero romp that is Marvel’s usual aim. That extends to include the film’s primary villain, Cate Blanchett’s Hela – the goddess of death – whose foreboding introduction has space for her character to make wry observations, revel maniacally in her evilness (see 0:37 in the first trailer for a sneak peek) and react in annoyance at the common folk not giving her the importance she craves. It’s too bad then that she gets side-lined for much of the film on her own, with Thor and Loki stranded on the planet Sakaar, ruled by the Grandmaster. 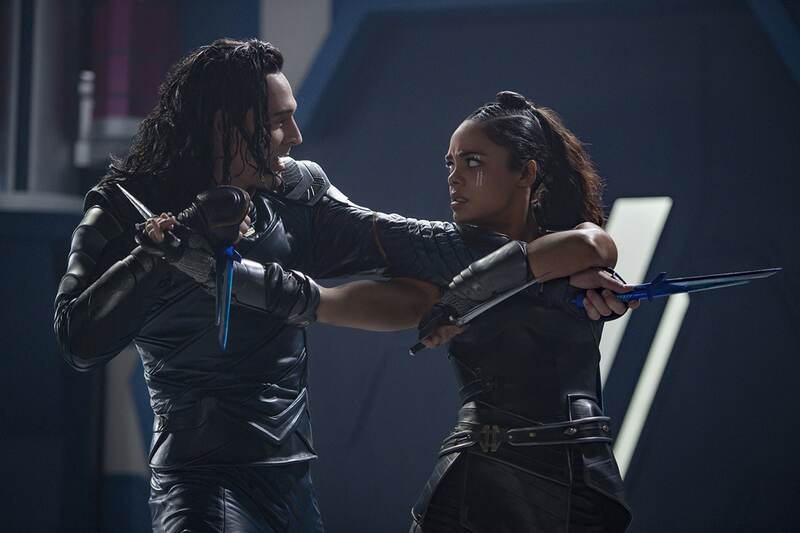 It’s there that Thor meets Tessa Thompson’s fascinating new addition, billed simply as Valkyrie. The film never provides her a name, alternating between a code assigned to her on Sakaar, and Valkyrie being the name of the ancient Asgardian outfit she was part of, a past she’s now hiding from, having failed at performing her duties. Written as a hard-drinking uncaring force of nature, she captures Thor and delivers him to the Grandmaster, for use in his gladiator-style games that are central to culture and life on Sakaar. Valkyrie’s introduction is one of the standout moments of Ragnarok, as she arrives inebriated and unable to even walk properly, before blasting everyone away with her Pacific Rim-style fighter jet. The latter part is also a rare bit of innovation in the action set-piece department, which is otherwise the weakest point of Waititi’s direction, likely stemming from his inexperience in that area. Most of the action sequences tend to involve a super-being ripping through hordes of soldiers while performing unrealistic acrobatic manoeuvres. Every time Ragnarok kick-starts a fight, you’ll be left wishing it ended and got back to doing what it does best. On Ragnarok, Ruffalo’s time in his performance capture suit is expanded beyond just destroying things with his presence, with the big green guy’s personality developing to include a rudimentary style of speaking too. He’s a massively dumbed down version of Banner, the man with seven Ph.Ds, and Hulk’s interests do not extend beyond sleep, training and smashing things. That child-like quality further contributes to the film’s comedic chops, with the Hulk dealing in straight-faced banter. Referring to himself as “raging fire” at one point, he dubs Thor a “smouldering fire”. The punchlines and one-liners keep rolling off the assembly line across Ragnarok, and most of the humour feels natural, with only bits and parts coming across a bit forced in their attempt to liven up the proceedings. Waititi makes great use of Benedict Cumberbatch’s Doctor Strange cameo too, relying on the actor’s comedic timing, handling the character’s other-worldly abilities in a delightful, cracking fashion, and contrasting it by showing how incomprehensible and jarring they would be for someone who’s not used to them. By the end of the film, Thor understands his responsibilities and abilities much better than before, and he’s left in a state that constantly reminds him about Odin. Unfortunately, not everyone gets the same long-arc treatment, with Blanchett, Ruffalo, and Idris Elba (who reprises his role as the Bifröst sentry Heimdall) feeling underserved, given the acting credentials they bring to the table. Expanding on that would have naturally resulted in a longer film, and one that wouldn’t have the momentum Ragnarok has now. Thor: Ragnarok released last Friday in the UK, Australia, and certain other regions. It’s out November 3 in India and other parts of the world. There are two mid-/ post-credit sequences, so stay till the end.